Dear patient users in the U.S. and other time zones affected by the missing-dates bug. I have a fix ready! It’s already pushed to App Store, and should be released in less than a week (hopefully sooner). This entry was posted in News on November 29, 2015 by Schulz Media & Consulting. A new update is on the way! You can now see the location of events in the event list. I’ve also made use of the new and more readable San Fransisco font (iOS 9 only), as a well as other minor visual enhancements. To prepare for some more significant future updates (week view, Apple Watch…), I’ve started rework of code to benefit from iOS 9. Note: Future updates might be restricted to iOS 9 (but I’ll keep supporting iOS 7/8 as is, as long as possible/necessary — more info in the app on that). This entry was posted in News on October 10, 2015 by Schulz Media & Consulting. 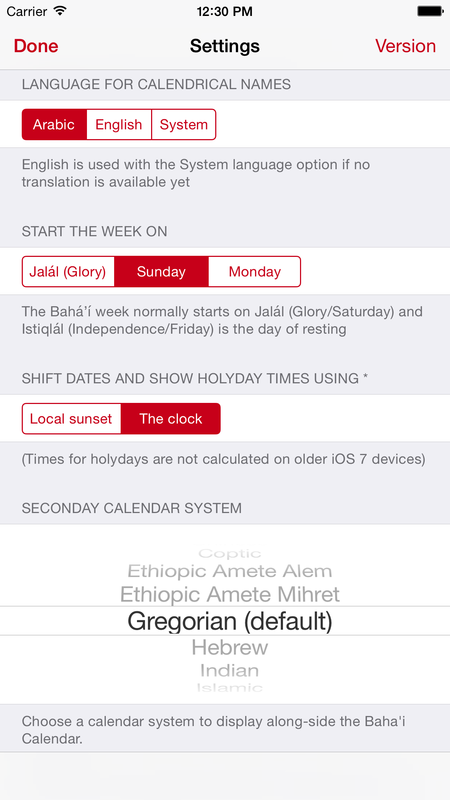 I just want to inform that the Bahá’í Calendar app has been developed with the certified official Apple developer tools, and is not affected by the hacks described in the article below (where developer have used unofficial downloads of developer tools, and thus opened their apps for hacks). I hope both Apple and the developer community will learn a lesson from this. This entry was posted in News on September 22, 2015 by Schulz Media & Consulting. 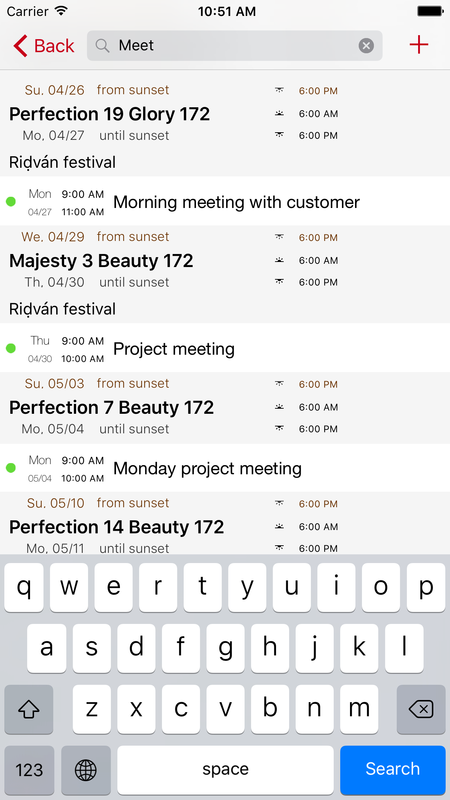 Search is now available — a new update is out! Good news! You can now search for events in the Bahá’í Calendar. A new update is out. Comment on this post, on Facebook, Twitter or by using the feedback mail-address (see App Store). This entry was posted in News on September 16, 2015 by Schulz Media & Consulting. 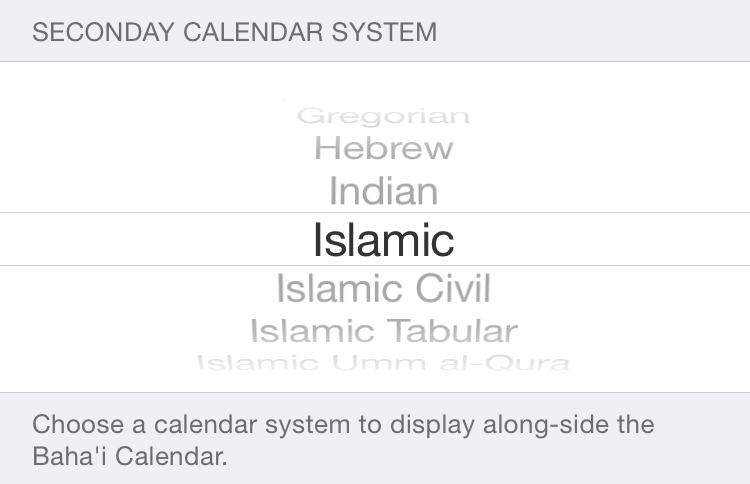 Chinese, Indian, Ethiopic, Islamic and other calendar systems are now available. Version 1.4 is out! 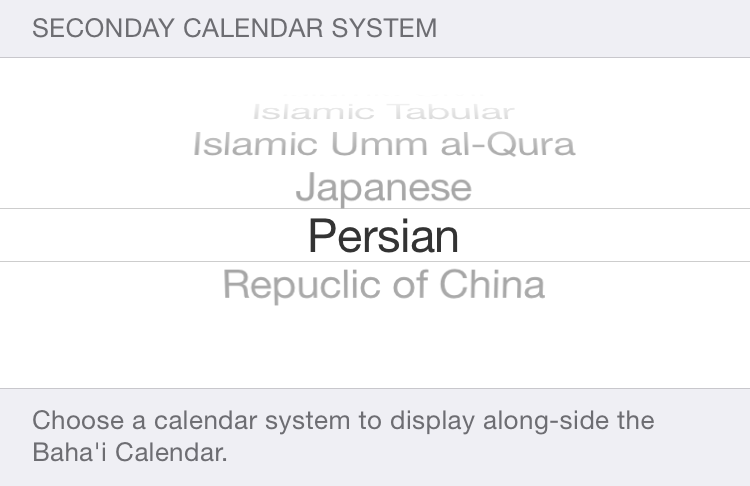 Chinese, Indian, Ethiopic, Islamic and other calendar systems are now available through settings. Version 1.4 is out! Is there anybody that can advice or help me to reach out in the Bahá’í communities around Asia, Africa and the Middle East? Mail me on the address: feedback at bahaicalendar.com. This entry was posted in News on August 26, 2015 by Schulz Media & Consulting. 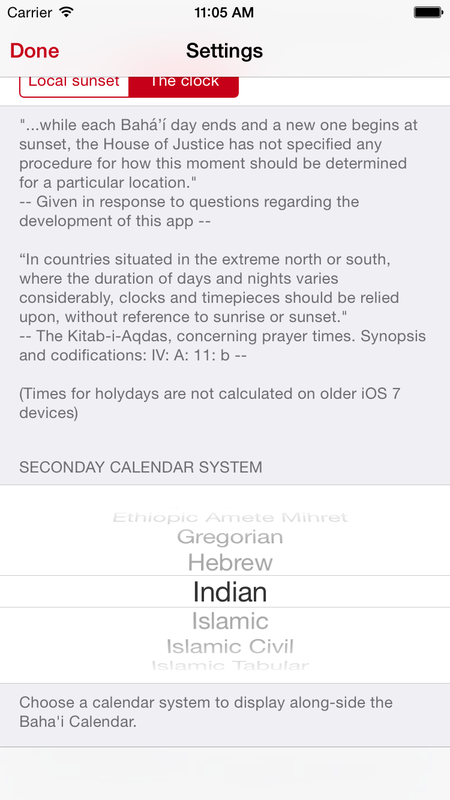 Use Chinese, Indian, Ethiopic, Islamic and other calendar systems! 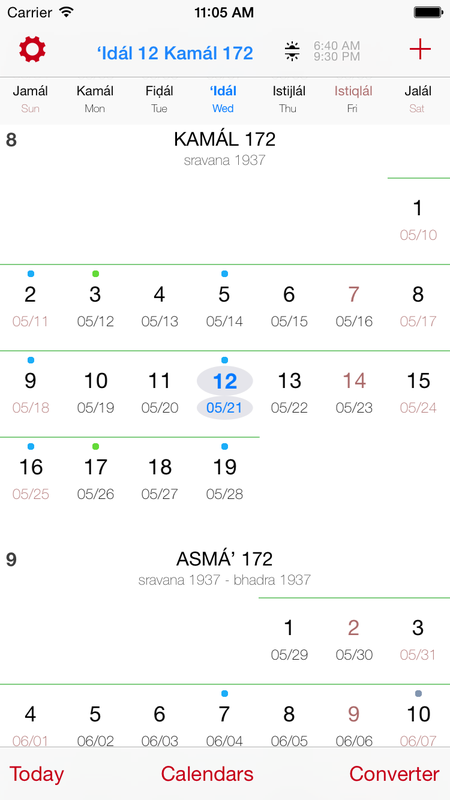 In version 1.4 (coming late august), you can now chose any of the available calendar-systems supported on iOS to display alongside the Bahá’í dates. The months, events list and the date-converter will show the calendar system you choose, and the actual events will as before follow the system-settings on the device. Thus making the app usable for anybody around the world, regardless of culture or locality. This entry was posted in News on August 12, 2015 by Schulz Media & Consulting. I’d be grateful if you leave a review to help others understand how you use this app in your daily life. If you have problems (technical or usability), please report to feedback@bahaicalendar.com, so I can hopefully address them in coming updates. An upcoming update will allow you to select any iOS-supported calendar to display alongside the Badí calendar. It will look something like this… More on this in a separate post soon. This entry was posted in News on August 11, 2015 by Schulz Media & Consulting.